Open every day, Ives Pool in Sebastopol’s Ives Park offers water activities and lessons for all ages and levels of experience. From basic swim lessons to lap swimming, water hockey, gentle water aerobics and family swim times, there’s something for everyone. Check out the website for hours and fees. The Laguna de Santa Rosa is Sonoma County’s richest area of wildlife habitat, and the most biologically diverse region of Sonoma County (itself the second-most biologically diverse county in California). 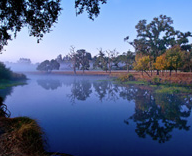 The largest tributary of the Russian River, the Laguna drains a 254-square-mile watershed which encompasses nearly the entire Santa Rosa Plain and includes all or part of the cities of Windsor, Santa Rosa, Rohnert Park, Cotati, Sebastopol and the unincorporated community of Forestville. The best place to access the Laguna itself is from the parking lot of the Sebastopol Community Cultural Center. You can walk the gravel trails past ponds and marshes to the seasonal bridge, or sit on benches under towering valley oaks and Oregon ash. A two mile hike encircles the entire area. Trails are accessible to walkers and wheelchairs but not bikes. Dogs allowed on leash. How to Get There: From the first stoplight on Highway 12 upon entering Sebastopol from Santa Rosa (the east), turn right (north) on Morris Street and proceed to the Sebastopol Community Center, where there is plenty of parking. The Preserve entrance borders the Sebastopol Community Center and Youth Annex. Enjoy self-guided walking tours and periodic plant sales at the farm where renowned botanist, Luther Burbank, developed many of his innovative strains of fruits and flowers. Luther Burbank bought his 15-acre farm on Gold Ridge in 1885 in Sebastopol. During his career he introduced over 800 varieties of fruits, flowers, vegetables, and grains. He developed many of California’s plums and prunes, the ancestor of the Idaho Potato, the Shasta Daisy, and novelties such as Plumcots, Thornless Blackberry, and Spineless Cactus. 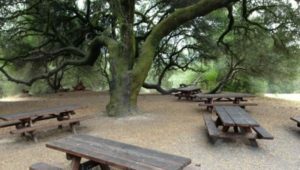 This 157 acre park offers amenities as domestic as picnic tables and playgrounds, and as wild as 3.5 miles of trails in the Atascadero Creek watershed. Trails pass through gently rolling terrain ideal for birdwatching and other wildlife viewing. Equestrians are welcome on all trails, and the park contains a gravel parking area with potable water for equestrian parking. This park site also contains sports fields for soccer, softball, sand volleyball courts, tennis courts, a par course, as well as a dog park and a peace garden with a spectacular sculpture created by world-renowned artist, Masayuki Nagase. There is a $7 charge per vehicle per day. Pedestrians and bicyclists enter for free. Dogs are permitted on a leash no longer than 6′ in length. License required. No leash required at the Dog Park. 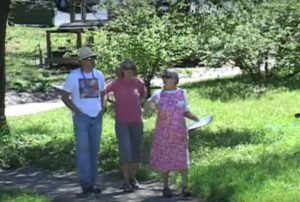 Accessibility: Paved, wheelchair accessible trails in front area of park and accessible group picnic areas. The Children’s Playground is popular with local children and their parents. This accessible, fully-equipped playground offers school age children stimulating, challenging and fun play as well as opportunities for creative social interaction.